In Firefox 4 Mozilla changed the way update notifications appear. They are now small, and show up briefly in the bottom-right corner of the screen. When you ignore them or just don’t see them, they will continue to periodically appear and eventually display a large software update dialog. If you don’t like the new update notifications Firefox will let you skip straight to the old big ones, but it will take a little bit of tweaking. The large software update gets right in your face, it is easy to see, and you might prefer it that way. By default with Firefox 4 you have to wait a whopping 12 hours after updates are available before this dialog automatically appears. If you want to learn how to make that happen, fasten your seatbelts and continue reading! 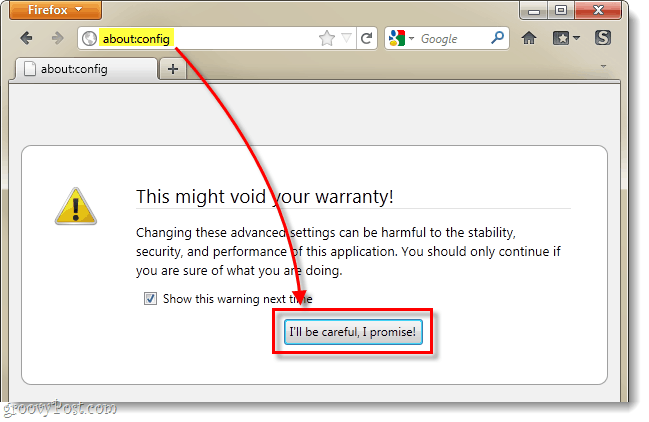 In Firefox, Type about:config into the address bar and then Click the “I’ll be careful, I promise!“ button. Next Right-Click the preference that appears below and Select Modify. This preference contains the number of seconds to wait before displaying the Software Update dialog box. The default is set to 43200 (12 hours), but we’re going to change it to 1. Press OK to save changes, and you can now exit the config window. 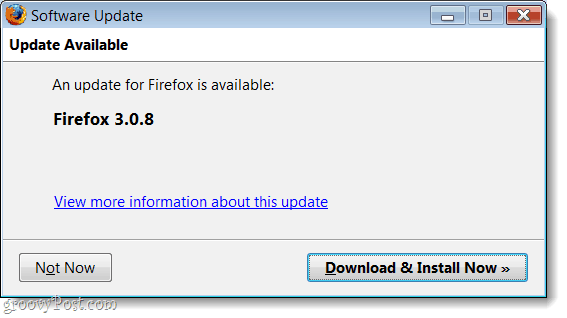 Firefox 4 is now set immediately display the large old-style update notifications when such content is available. 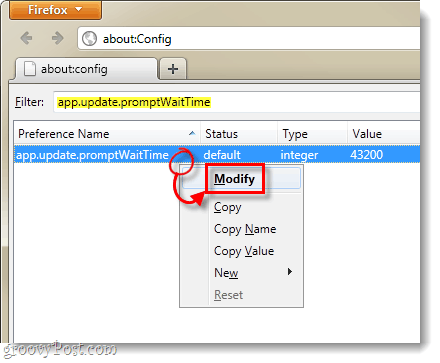 By default Firefox only checks for updates once a day, but there will be no excuse for not knowing about updates once the browser has checked.